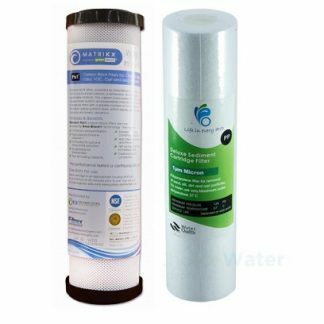 A sediment filter`s main purpose is to remove particulates from water usually used as a first stage filter to protect the more expensive second stage filter from blocking prematurely. 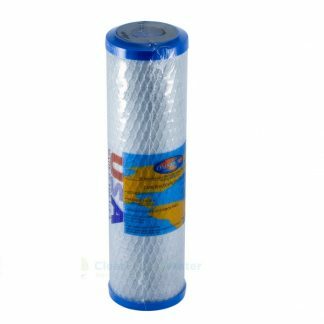 It is rated by a micron number which refers to the size of the particles that the filter will trap. These are often required as a pre-treatment for other types of treatment such as reverse osmosis and carbon filtration. Keep in mind that sediment filters only reduce particulates. They do not remove chemicals or make the water taste or smell better. 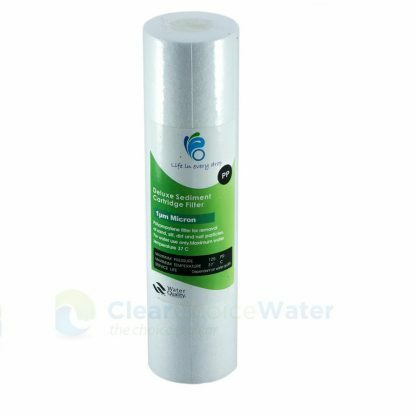 This filter is a standard size 10″ x 2.5″ suits most water filter housings we also have 0.5 micron sediment filters available.